The Japanese mobile phone market - frequently cited as among the world's most sophisticated – has finally fallen victim to the march of Apple after a study revealed the iPhone dominating there. Research by Japanese publisher Impress shows the iPhone claiming close to half the entire market there for smartphones in 2009 to date. 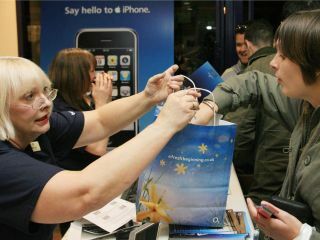 The 3G and 3GS models combined to take 46.1 per cent of handset sales at the high end of the market. That has had the effect of knocking previously popular Windows Mobile models down the list. However, the fact that the list of trailing devices includes just a handful of Windows handsets, one Android phone and one BlackBerry emphasises that the smartphone market in Japan is not a deep one. In spite of the iPhone's success, it still remains true that most Japanese consumers are using locally produced 3G phones that adhere to the traditional menu-driven (as opposed to app-driven) model. Of course, that could change if leading manufacturers like Sharp and Panasonic change their approach significantly, or if the Google Nexus One makes any impact in 2010.